Unlike the recent discussions about alternative facts, bending reality is about changing how the future plays out for us. 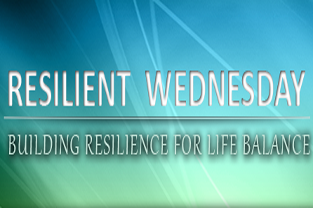 Being more intentional about the way our days play out help us mitigate the challenges we face and create resiliency. Steve Jobs was perhaps the greatest of our time in bending or reshaping reality. His visions about the iPod, iPhone and iPad accurately predicted what consumers would want and he would be dogged about sharing and convincing others that his reality was the right one; and he was usually right. In one study researchers helped athletes deal with their performance anxiety by telling one group that their jitteriness actually helped performance while telling another group that their anxiety would hurt their performance. The athlete’s performance matched the message they received from the researchers. Set an expectation for how you want an event to play out and visualize as much of it as possible especially your responses in different situations. Strike a pose where you physically stand in a powerful position (consider Superman as an avatar) for a minute or so. Neuroscience research suggests that this physical action releases hormones that change our mind and behavior. Tell others about how you are going about changing a situation or project at work. The power of commitment and consistency, (two influencing strategies) keep us focused and on track. Amy Cuddy’s TedTalk about body language. Great.